Baghdad dispatched an anti-terrorism commander to Iraq’s northern Kirkuk province on Thursday amid fears of possible political unrest. The move comes two days after security forces dispersed a rally staged in Kirkuk by supporters of the Patriotic Union of Kurdistan (PUK) after the latter were seen waving Kurdish Regional Government (KRG) flags. The following day, amid mounting fears of unrest, the governor of Kirkuk requested that Baghdad send military reinforcements to the oil-rich province. “Commander Abdelwahab al-Saidi was sent to Kirkuk in the wake of Tuesday’s flag crisis in hopes of resolving the issue and restoring security,” Muntazar al-Saidi, a spokesman for Iraq’s Federal Anti-Terrorism Police, told Anadolu Agency on Thursday. 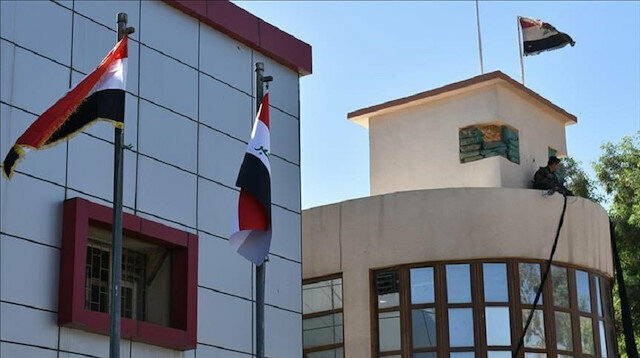 The spokesman told Anadolu Agency later that Baghdad had given the KRG 24 hours to remove all the flags. The Erbil-based KRG controlled Kirkuk from mid-2014 until late 2017, when Iraqi federal forces moved into the province while Kurdish Peshmerga fighters loyal to the KRG withdrew from the region. The moves came shortly after the KRG held an illegitimate poll on regional independence that was widely denounced at the time by states of the region.